There are a few days in our lives we could call “the most important day” – a first date, high school graduation, college graduation, your first real job, and the day you got engaged could all be considered “memorable days.” For most women, the most important day of their life is their wedding day. So much planning and preparation go into a wedding. The style of dress, the venue, the flowers (and even the food) are all a reflection of your personal style as a bride. 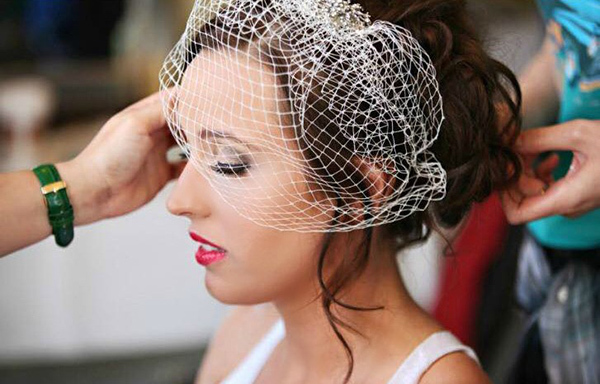 At Studio 39, our experienced bridal stylists and makeup artists are some of the best in Kansas City. We know how to create dramatic glamour or simplistic elegance. Every bride has an idea about how they want to look on their wedding day, and we can help take your ideas to create your vision so you can relax and enjoy the most important day of your life. All prices below are starting prices for our wedding services. Prices vary based upon hair length, location, and style-specific details. Fill out our PDF form or call us and book your bridal consultation for your hair and wedding makeup today – (816) 756-1187. Once you have your date selected, call us to book an appointment with one of our bridal hair and wedding makeup specialists. Feel free to bring us a photo of your dress and any headpiece or hair ornament you plan to use. Tell us what kind of bridal look you have always wanted for your wedding day, and we can help with thoughtful input and suggestions about what is current in the world of special event styles. We have done hair and makeup for hundreds of weddings in the Kansas City area. Whether your look is sleek-n-chic or romantic vintage, we will help customize your bridal style. These girls came after the stylist I book stopped answering my calls. With five days notice, they made it to my venue 15 minutes early and did a fabulous job. I don’t think I had ever looked so wonderful, and they were worth every penny. They were joking with my girls and kept everything light and fun. Megan asked what I wanted for my hair. I showed her a picture and she pulled it off exactly! The makeup artist asked the same question for my makeup and reassured me that she would do whatever I wanted. She did it just like the picture I showed, and I loved it! These girls were wonderful and affordable. I will definitely use them as my regular stylists from here on. Posted By A Bride On The Knot. At Studio 39, our team of licensed makeup artists utilizes the latest techniques and use the highest quality products to achieve your desired look. Special occasions require a little “something special” for a glamorous look. Leave it to the professionals at Studio 39. Take the stress off yourself by having your makeup done in less than an hour – all you need to do is change into your attire and go have fun! Whether for a bridal party, a night on the town, or a new makeover just because you deserve it, our talented makeup artists will ensure you look your best and help you achieve the perfect look for any event! Special events require special preparation – that’s why we’re proud to offer professional hair styling, makeup application, and airbrush body makeup for your special day. Most brides choose us to go on-location. We will travel within sixty miles of KC. We are always honored to be a part of a bride’s special day. 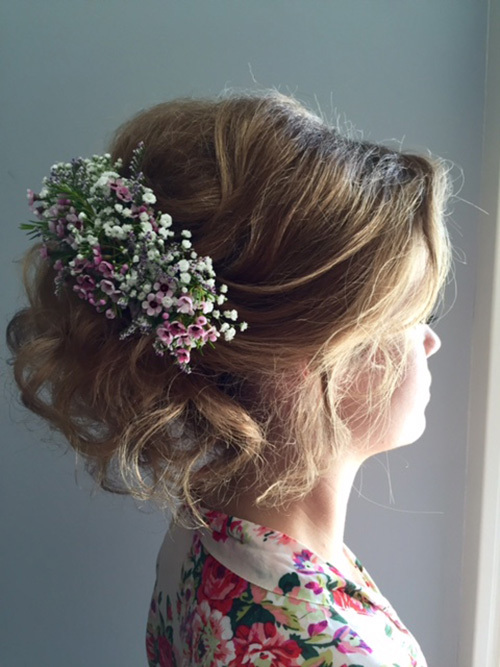 We would love to create the perfect wedding hairstyle and make-up application for you and your bridal party. 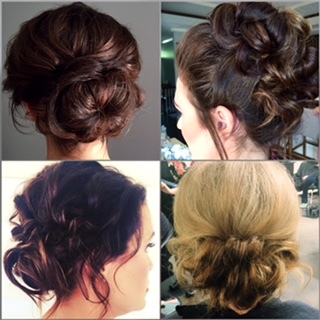 Whether it’s a prom, big event, or your wedding day, Studio 39 has got you covered. All these services are available for on-location parties and we do require a deposit to reserve a glam team. Book ahead and bring your entire bridal party including the mother-of-the-bride. Each special guest can have hair done and makeup and lashes applied. We can help make the day your own. Our lobby coordinator can order lunch and even bring champagne to our bridal lounge so you don’t have to worry about a thing. Most brides choose us to go on location. We will travel within sixty miles of KC. We are always honored to be a part of a bride’s special day. 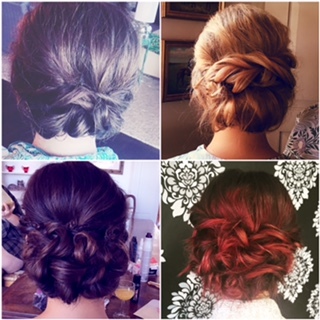 We would love to create the perfect wedding hairstyle and make-up application for you and your bridal party. Use of our lounge comes complimentary when you book a wedding party of three or more. Relax and enjoy privacy while you sip mimosas and get ready. If you have any questions, call us at (816) 756-1187. 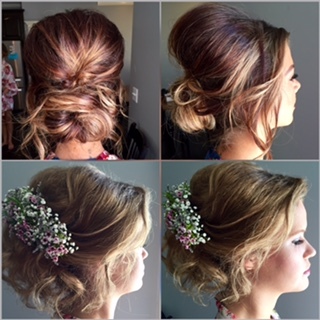 We will make sure you and your bridal party look and feel fabulous on your wedding day! Please click here to view our Bridal Booklet or if you have any questions, call us at (816) 756-1187. 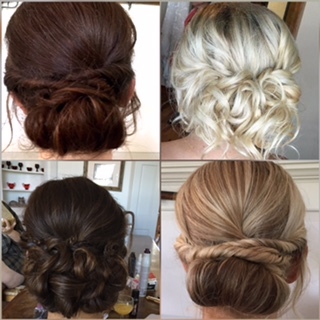 We will make sure you and your bridal party look and feel fabulous on your wedding day!